Just published today, is thhe latest Roger Federer tribute video from partner KiLLuCH on YouTube. “Roger Federer – Good Life (HD).” Using the wonderful song, Good Life by One Republic, it shines light on the recent form the Swiss maestro is displaying. Since October 2011 Roger has gone on a remarkable winning streak with nine tournament victories. That was reason enough for me to put together a new video about the “Good Life” that he’s currently living. Enjoy the latest from KiLLuCH. Roger Federer – Fix You (HD). Roger Federer is thru to the US Open quarterfinals, where he will face Tomas Berdych. Check out “Roger Federer – Good Life (HD)” below. 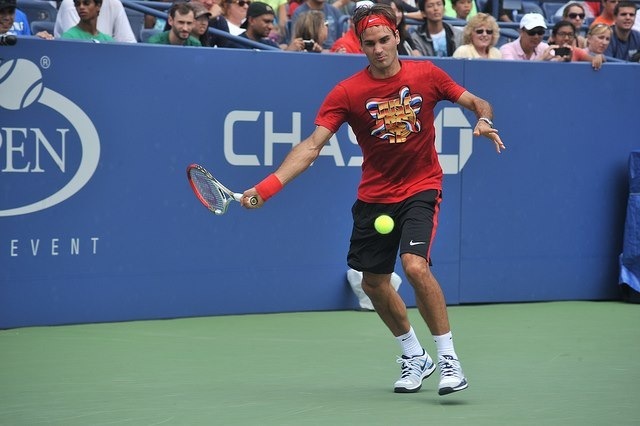 Get the best Roger Federer coverage with FedererFan07. Watch the 2012 US Open on FF07tv. See Roger Federer’s Nike outfit for the Open here. Download the US Open 2012 mobile app for iOS (iPhone, iPad, iPod touch), and Android.